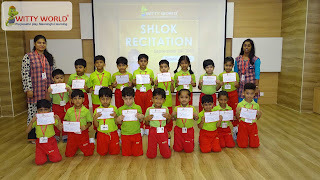 Just like this, Indian rituals has many meaningful shloks in their cultural heritage. 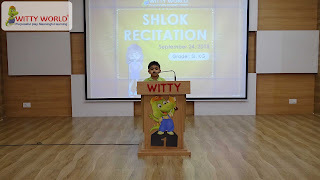 This was the time to show the dedication for the Nation and National language. 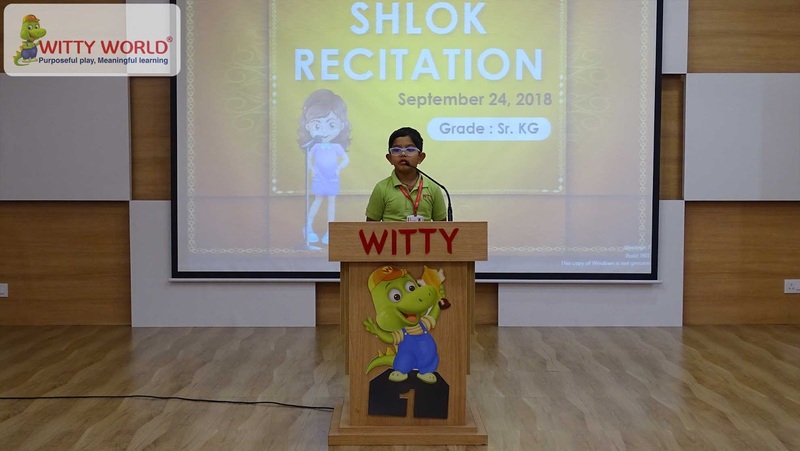 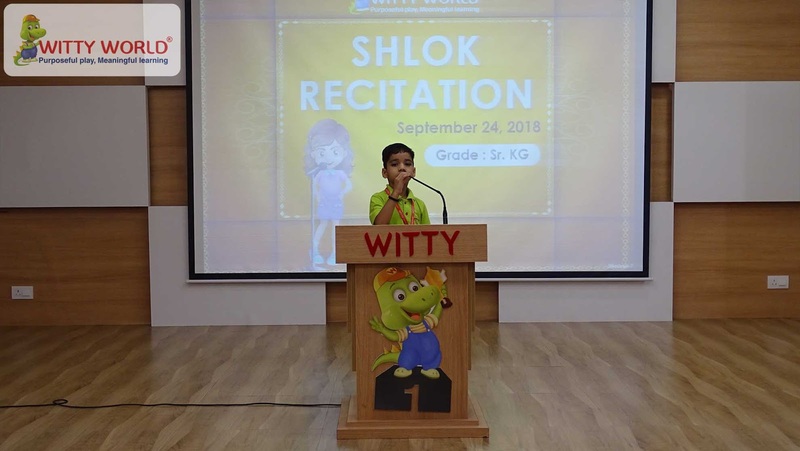 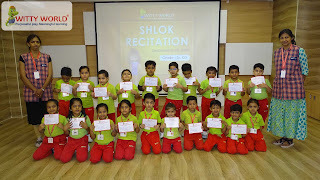 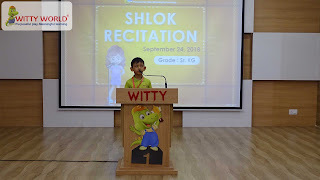 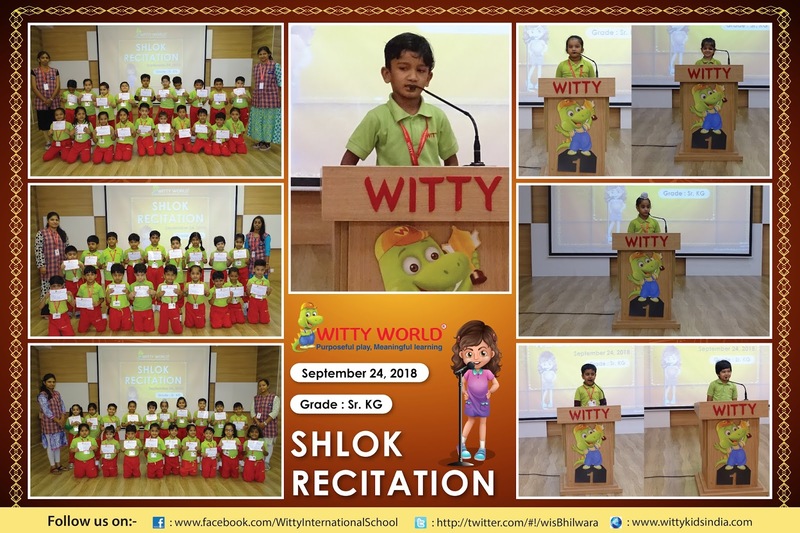 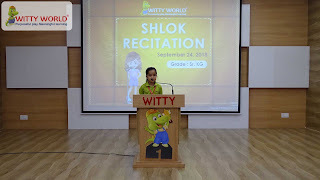 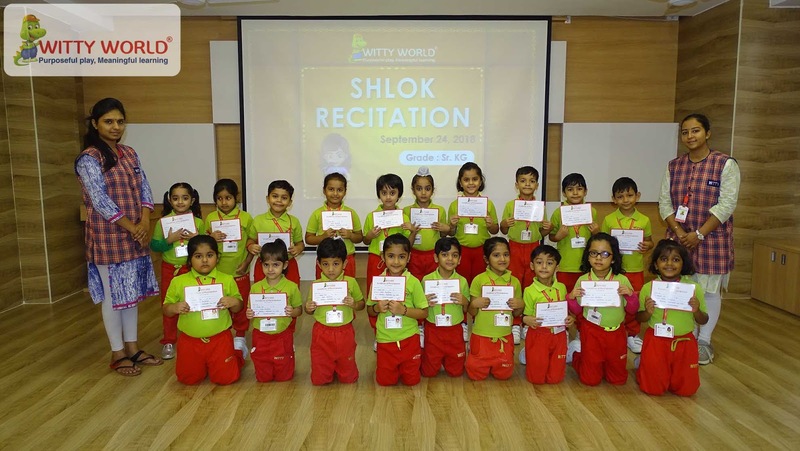 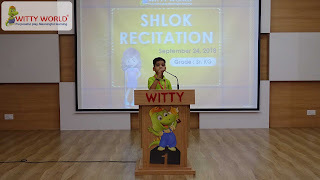 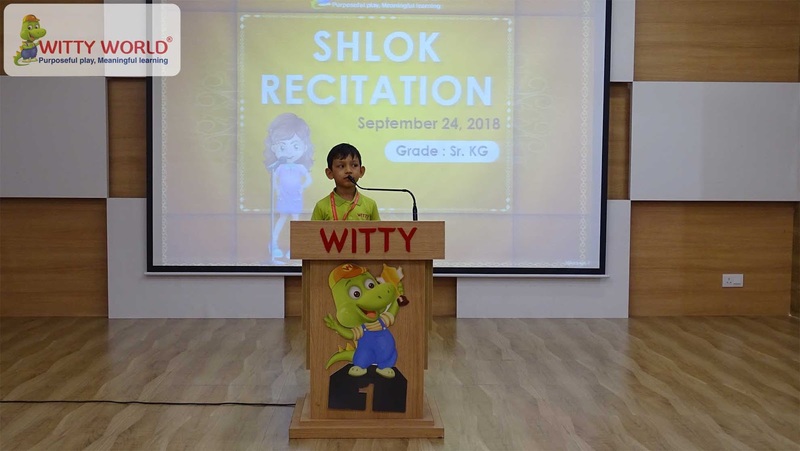 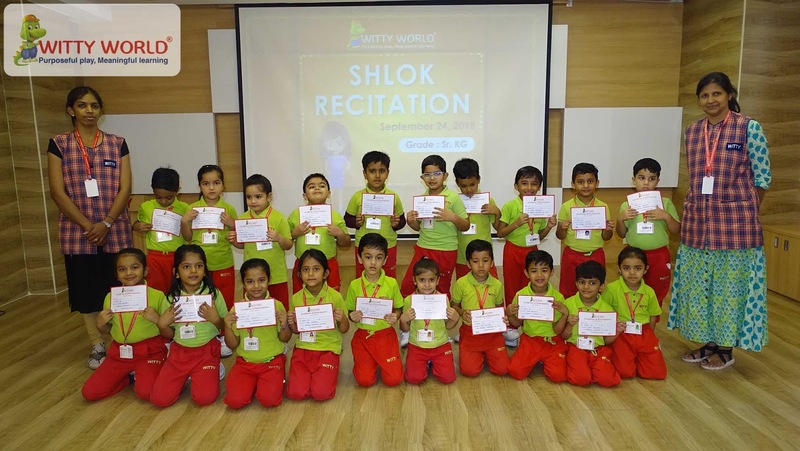 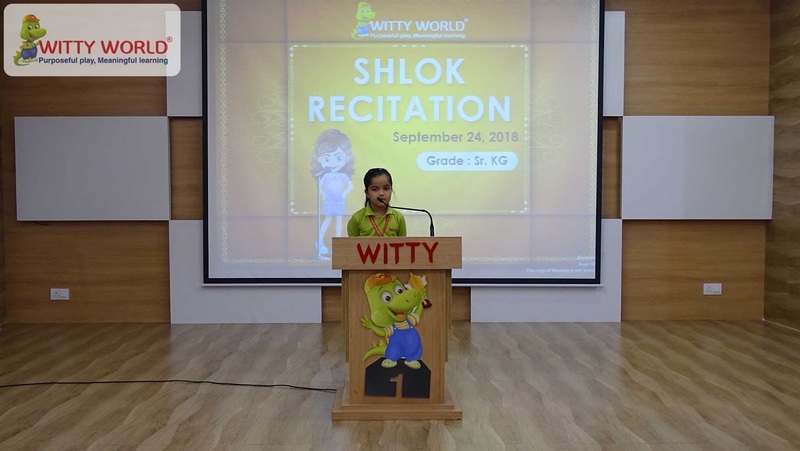 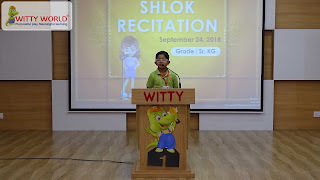 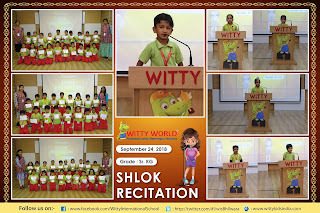 To show the importance of shloks, Witty World Bhilwara organized a shlok recitation for the students of Sr. KG on September 24’ 2018, Monday. 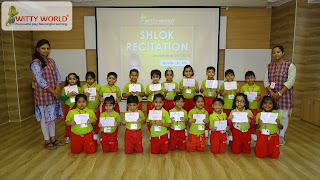 Where students recited the shlok with their meanings. 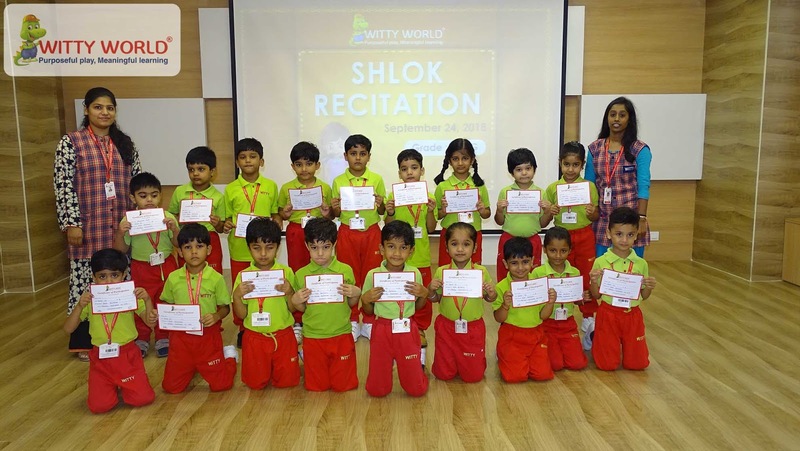 The little Wittians enjoyed chanting the shloks and sharing its meaning with their friends and teachers.